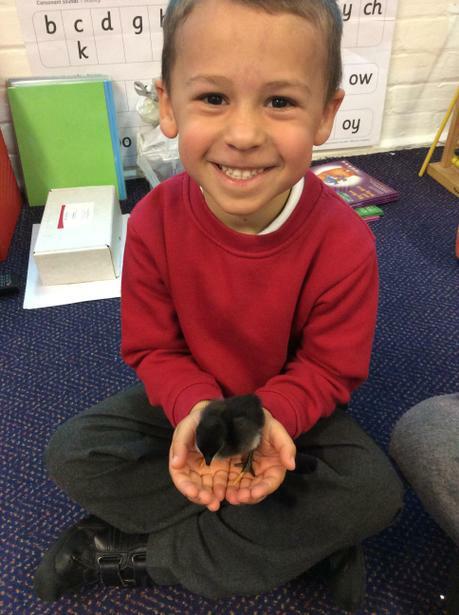 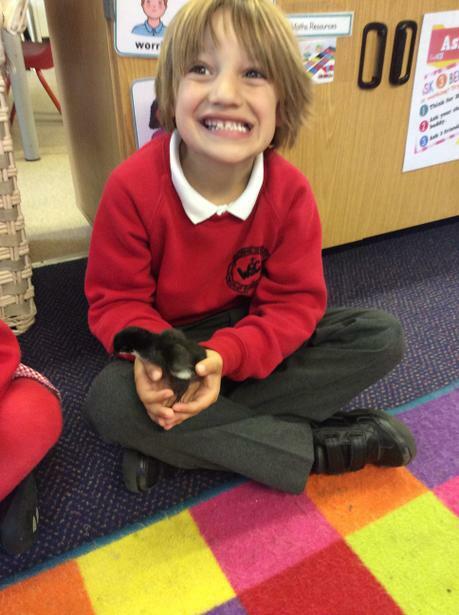 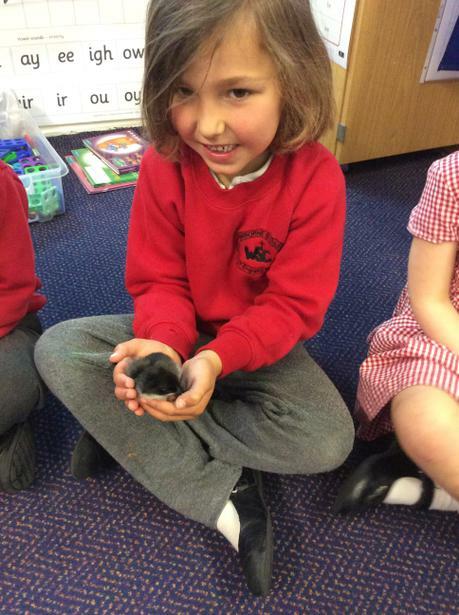 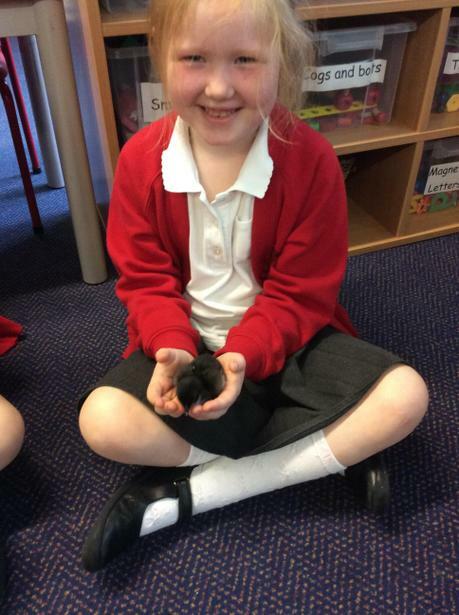 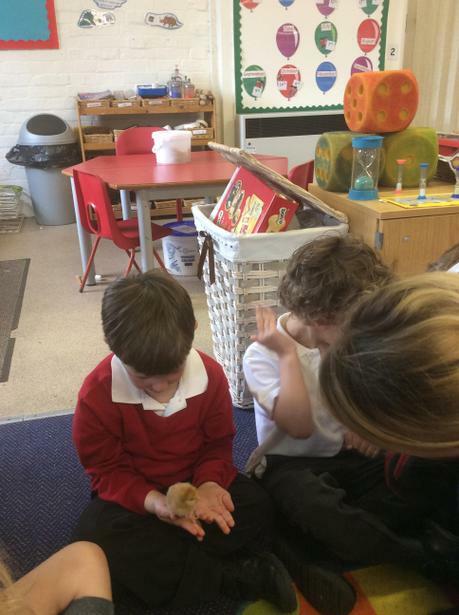 Ash Class have been lucky enough to get a delivery of chick eggs. 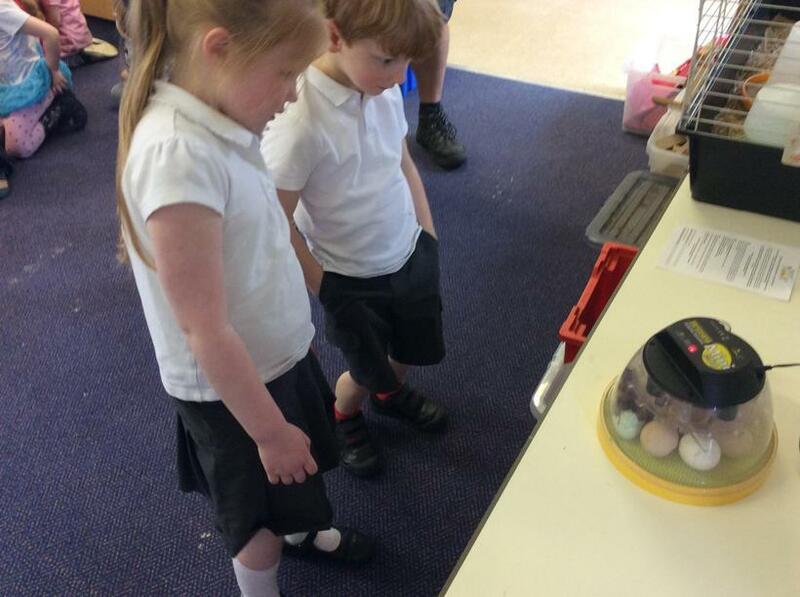 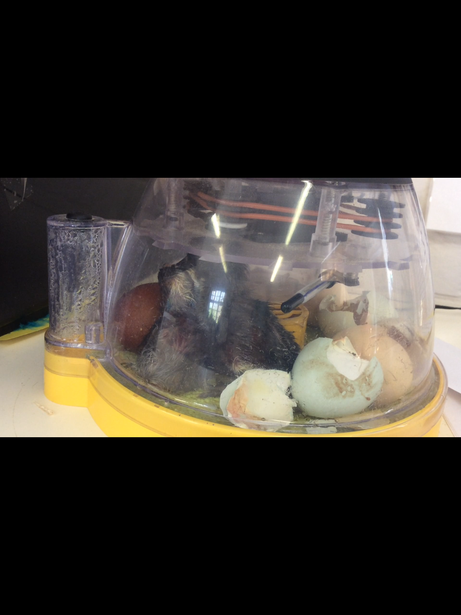 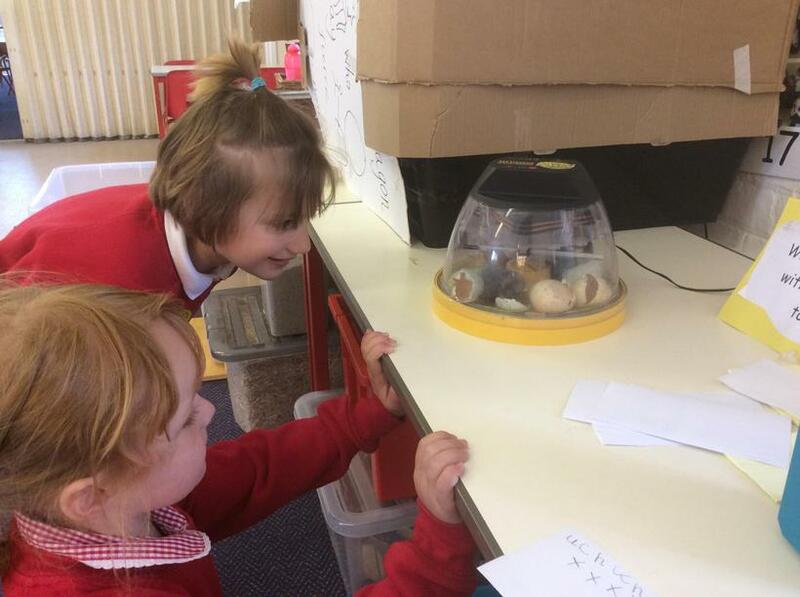 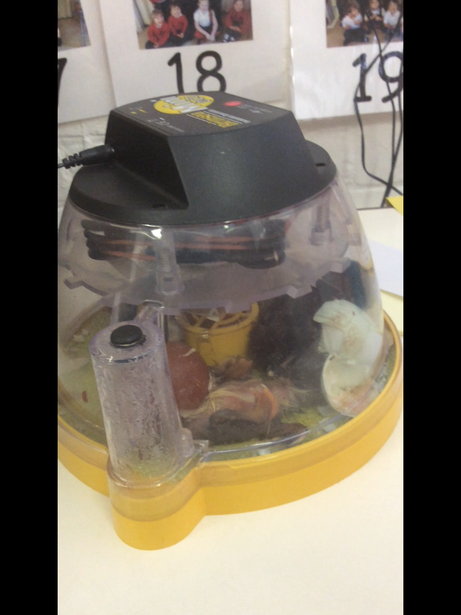 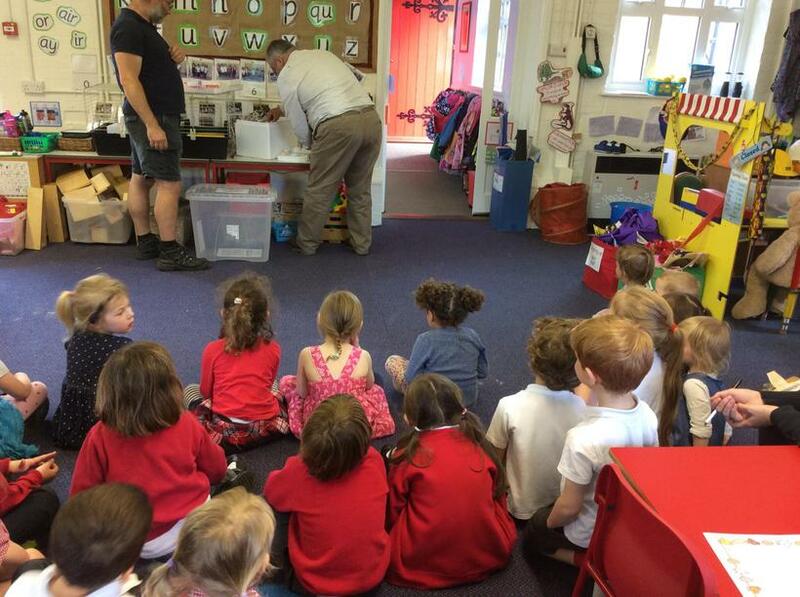 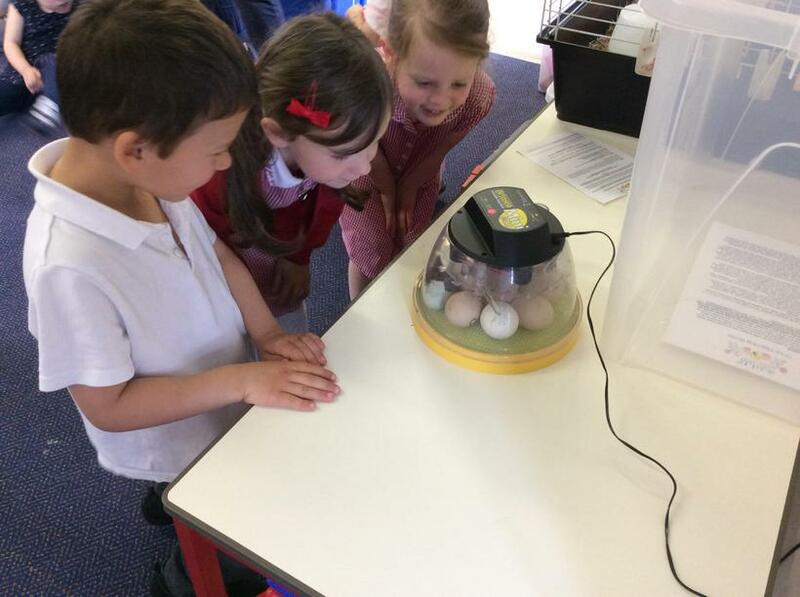 The children have been observing the changes of the first chick 'Bob' and waiting patiently for the other eggs to hatch. 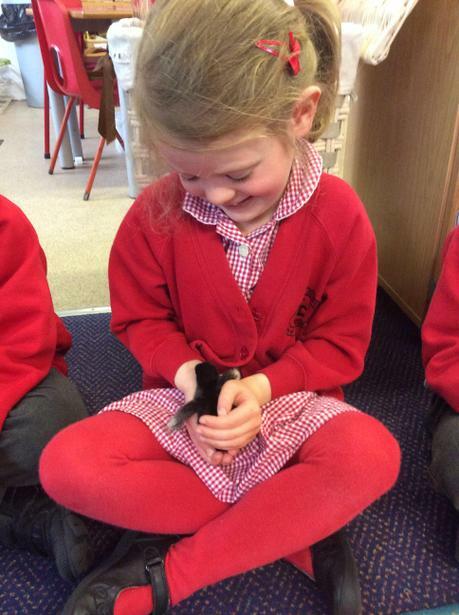 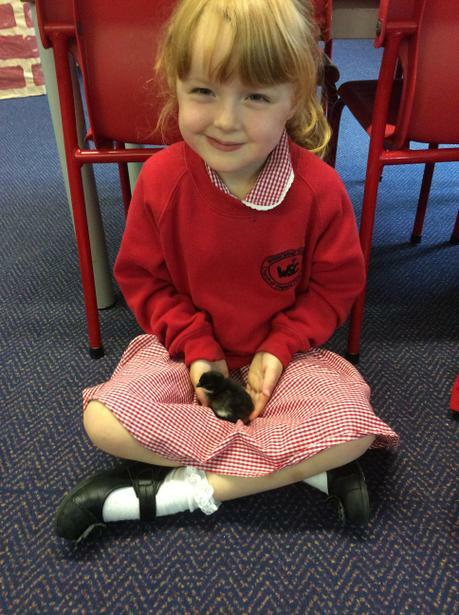 Today, we even adopted a duckling who had wandered in to our garden! 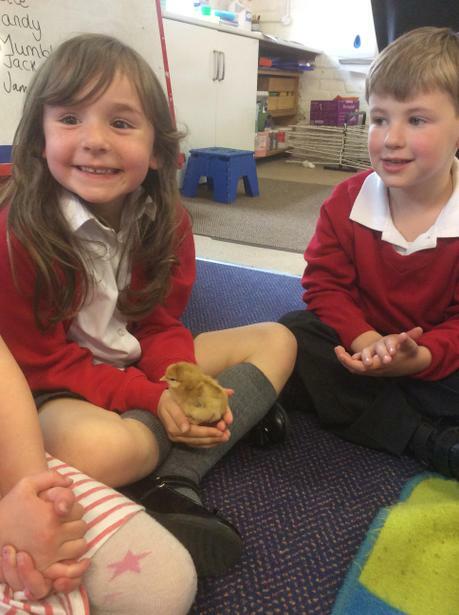 Chick update! 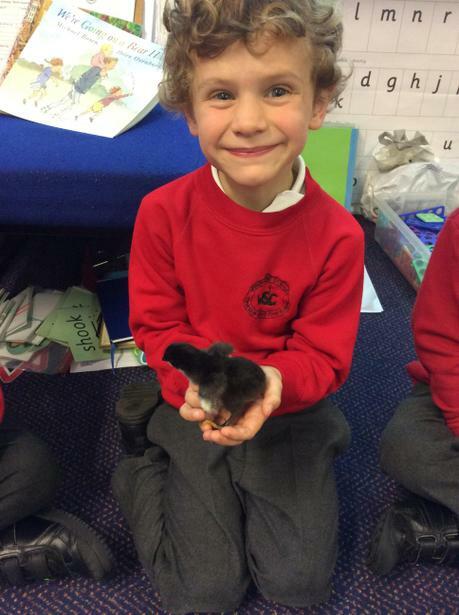 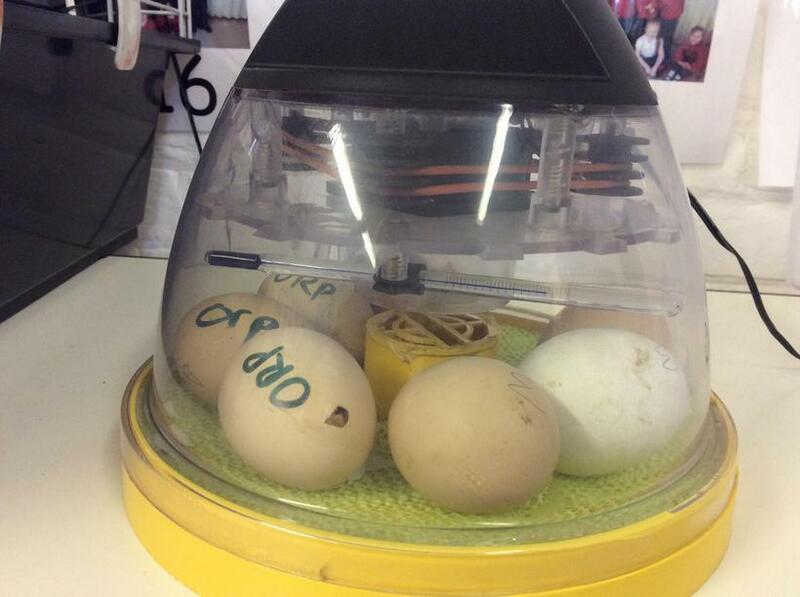 All of our eggs have now hatched, hooray!! 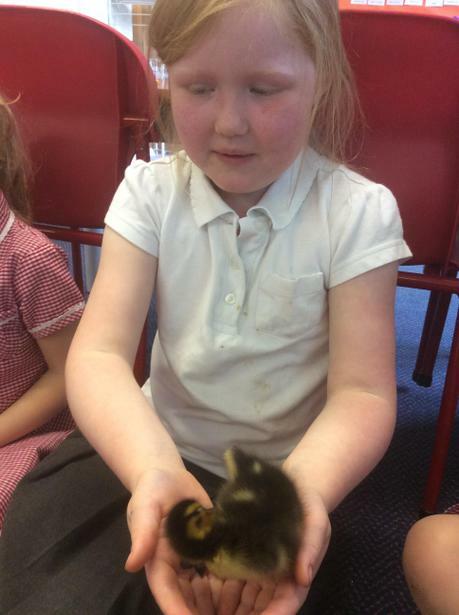 The children saw the last one peck out of his/her (we're unsure at the moment) shell this morning, making it eight fluffy chicks and one excitable duckling to observe over the next week. 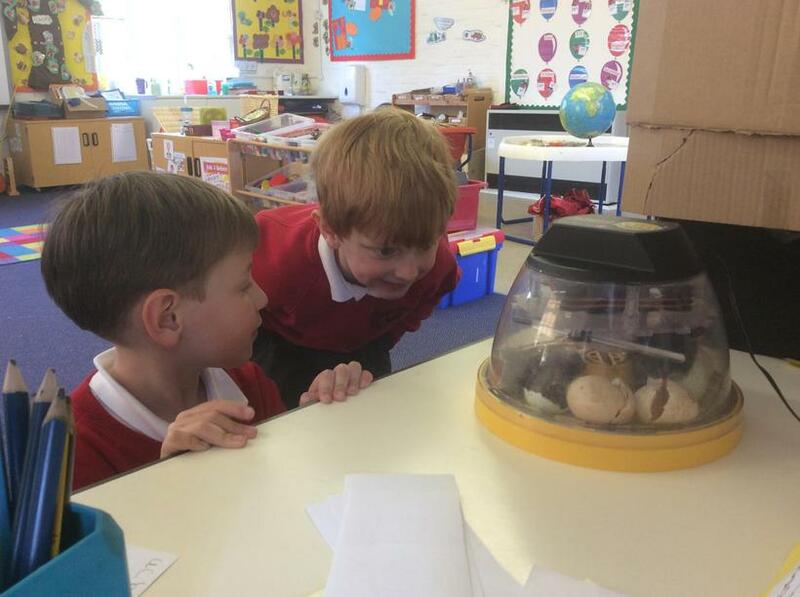 We will keep you posted on their names! 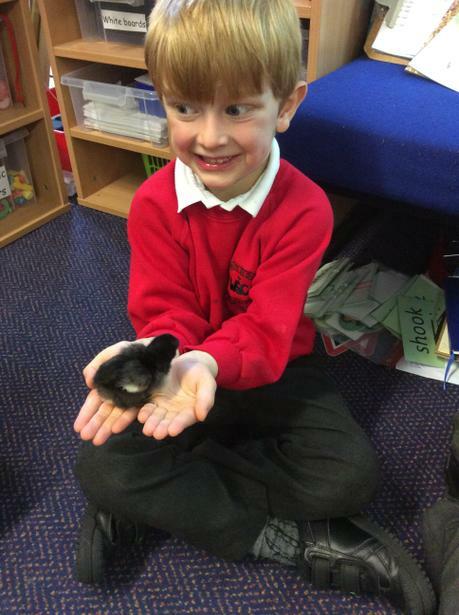 The chicks are now big enough for us to cuddle! 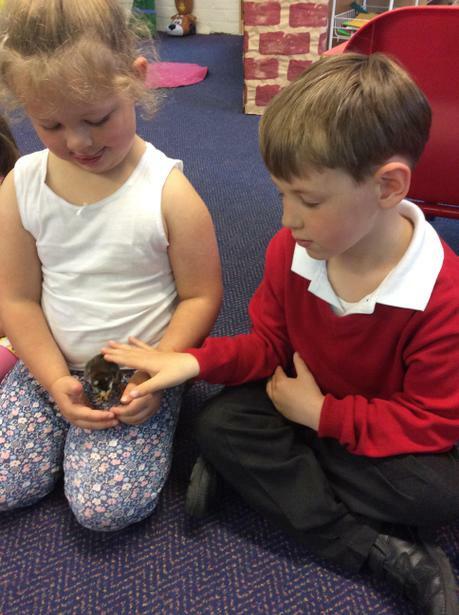 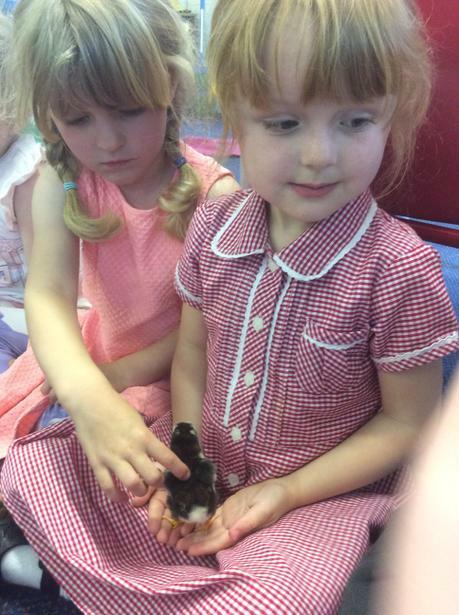 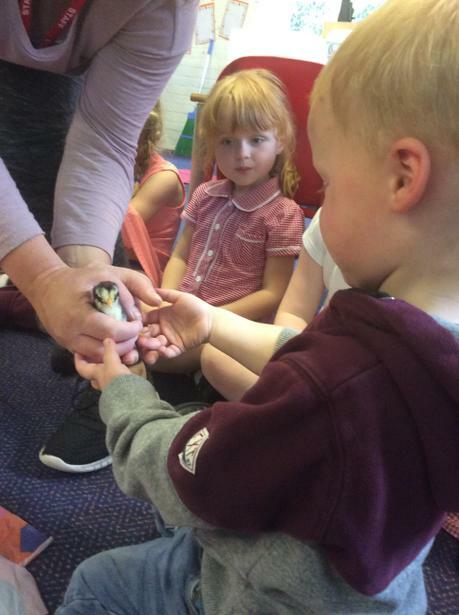 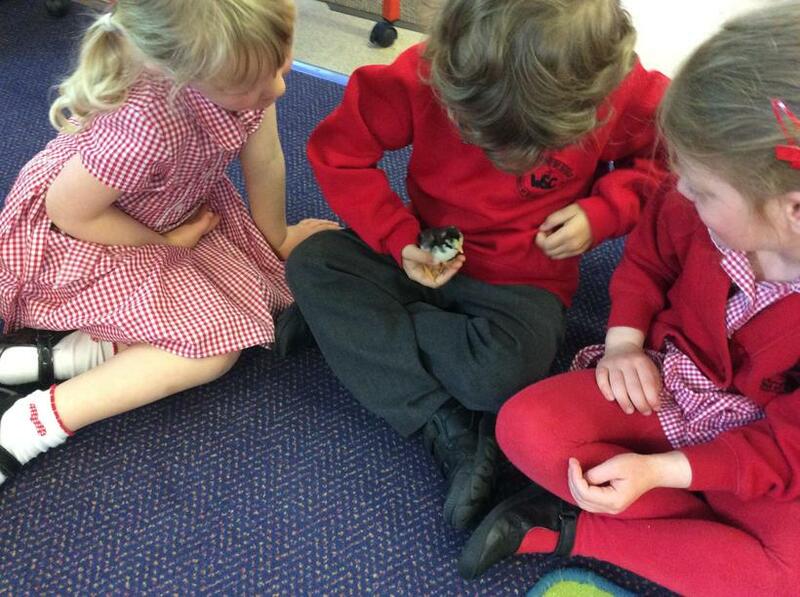 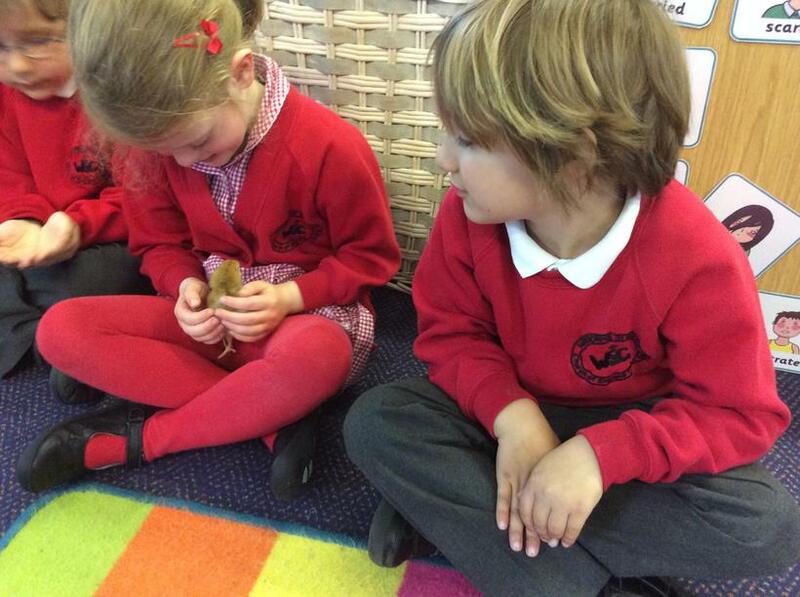 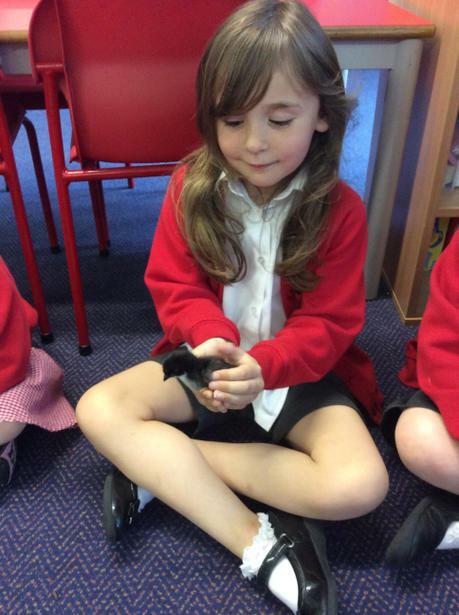 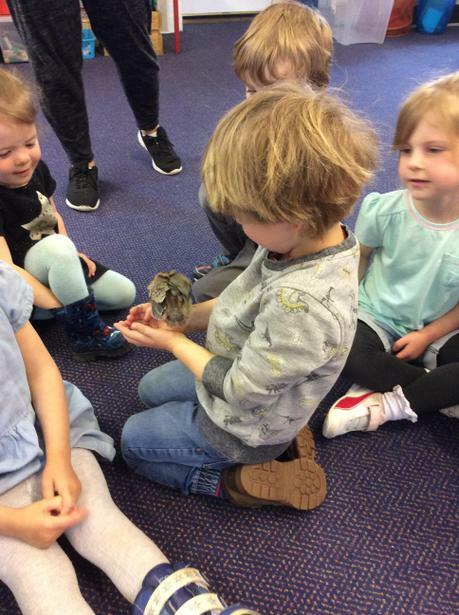 The children in Ash and Saplings really enjoyed having the chicks and duckling out to play. 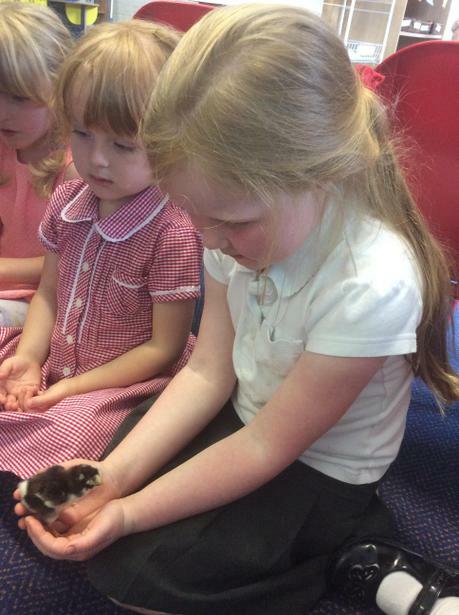 We have also named a few more- introducing Sandy, Mumble and Speckle! 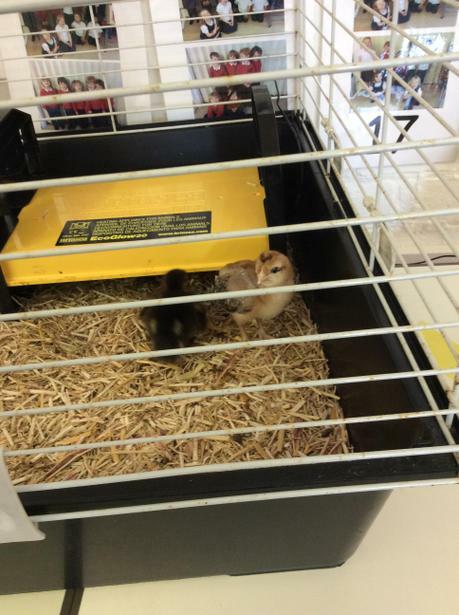 More cute chick pictures. 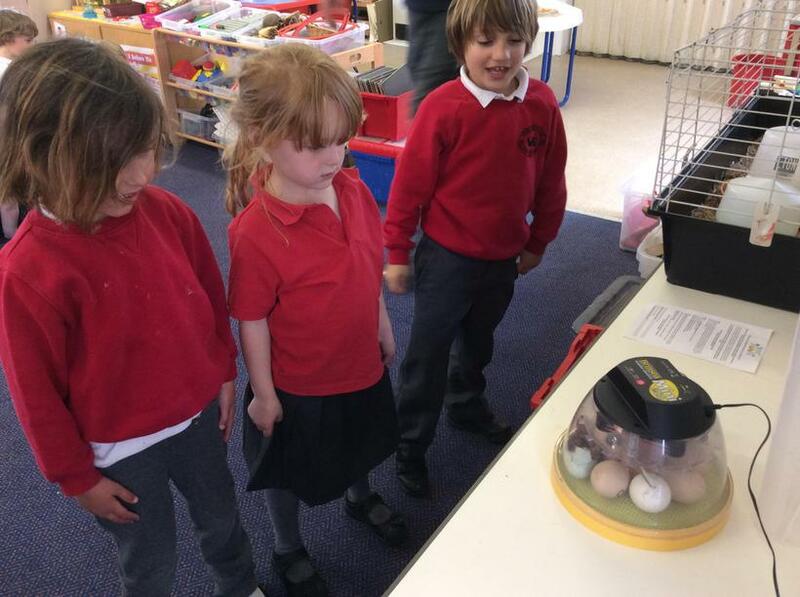 The children are now noticing and commenting on how they are changing.